SKOWHEGAN — Authorities are continuing to investigate a Friday morning fire that took the life of a Skowhegan man inside his own apartment. Steve McCausland, spokesman for the Maine Department of Public Safety, said Douglas Barrett, 48, was pronounced dead at the scene of the fire at 33 Milburn St. in Skowhegan. Crews from as far away as Waterville and Hartland were dispatched to the blaze around 1:40 a.m. Friday. Barrett’s body was found in the kitchen of one unit in the duplex. Barrett’s apartment was destroyed in the fire, and there was smoke and water damage to the second apartment in the building. No one else was injured in the fire. Barrett lived in the apartment with a longtime girlfriend, who investigators said was staying elsewhere Thursday night. 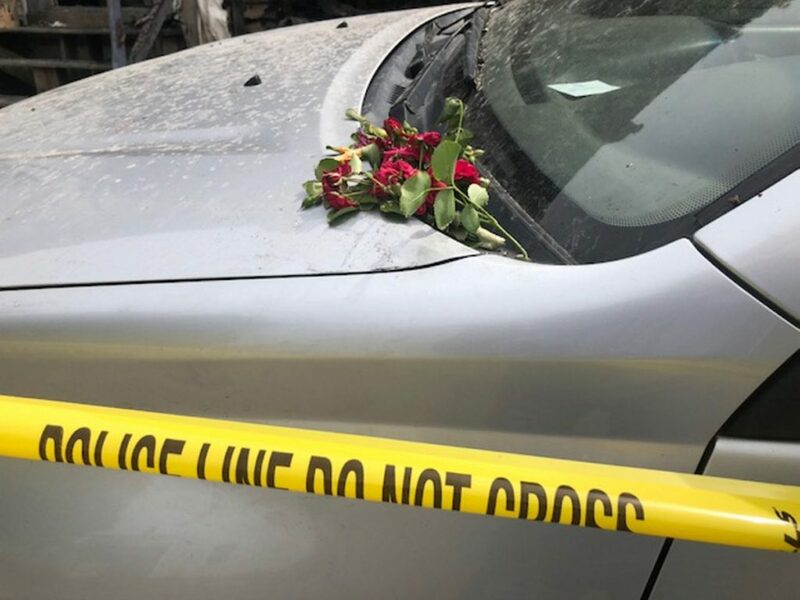 Meanwhile, someone visited the fire scene and placed a bunch of red roses on a car that was still parked inside the yellow police tape that cordoned off the area. No one was around the home this week to answer questions on how the flowers got there or who may have brought them. State fire marshal’s office representatives asked state police detectives to assist them in the investigation, but the fire is not considered suspicious. “Fire marshals have more interviews and investigation to do before they near a conclusion,” McCausland said in an email Tuesday morning. Barrett’s body was taken to the state medical examiner’s office in Augusta for an autopsy. Autopsy results were not available Tuesday. State fire marshal’s investigators were joined by members of the state police major crimes unit and the evidence response team, as well as local police and firefighters, to investigate the fire and Barrett’s death. The state police Major Crimes Unit is responsible for major investigations including homicides, suspicious deaths and child abuse cases. Heather Dozier, who lives just down the street at 48 Milburn, said Friday that she knew the man who died in the fire as someone who was a nice guy but kept to himself.